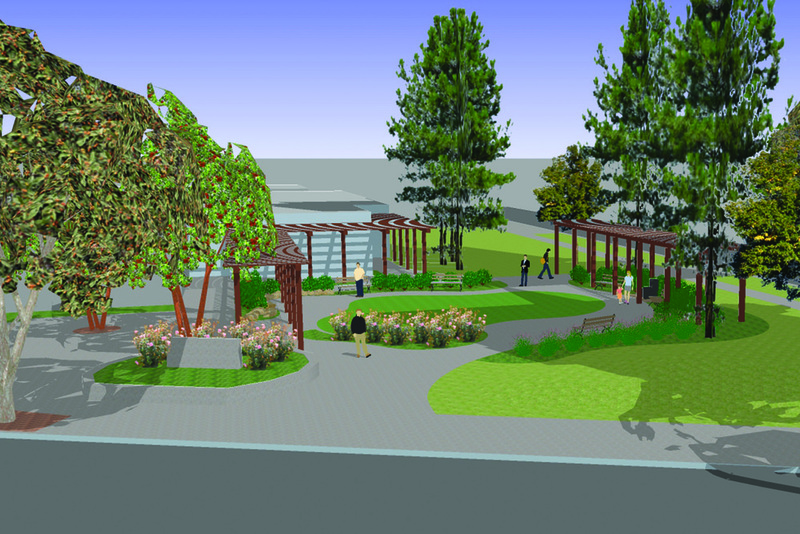 The Leadership Burbank Class of 2015 is coordinated a revitalization of the Boys and Girls Club of Burbank and Greater East Valley, creating a safe and educational outdoor garden area as the project’s centerpiece. The Boys and Girls Club could not make use of its front yard due to traffic and safety concerns. The Club also lacked clear signage, reducing the community’s awareness of its presence and the services it provides. 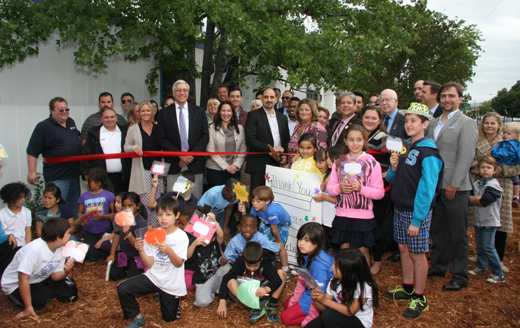 The new gardens provided a safe and educational outdoor area for the Boys and Girls Club, and represent a significant revitalization of their property. They enabled the Club to teach children about health and sustainability, including hands-on experience planting and caring for vegetable and flower gardens. The renovations included landscaping, a fence for child safety and a new sign highlighting the Club’s presence in the community. The Class of 2014 focused on the city of Burbank’s adults, ages 55+, who for many years have needed a safe, outdoor setting to enjoy activities and programs at the Joslyn Adult Center. Provides an ideal spot for socializing, exercise, and meditation – all of which are proven to help stimulate both physical and mental health. Allows the Joslyn Adult Center to offer more variety in its programming for the hundreds of participants who visit each day. Helps enrich the esthetic appeal along Olive Avenue, one of Burbank’s most traveled roadways. 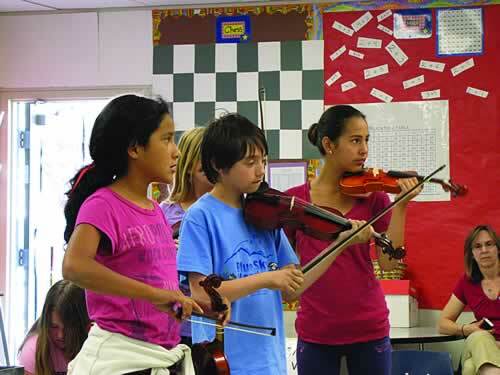 The 31 Violins fundraising campaign, spearheaded by the 2013 Leadership Burbank Class, was designed to expand instrumental music instruction in Burbank’s elementary schools. Helped eliminate the financial burden from the district and individual schools. Freed up district resources so more students could access music education. Increased instruction time and reduced music class sizes.